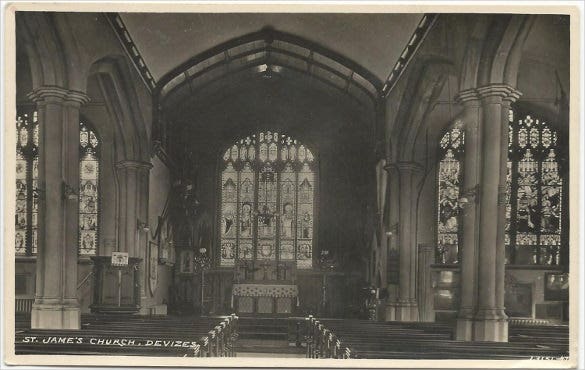 Church post cards are mostly used to inform interested prospects about any rituals or traditional events which would be happening or are planned to happen in any time future. 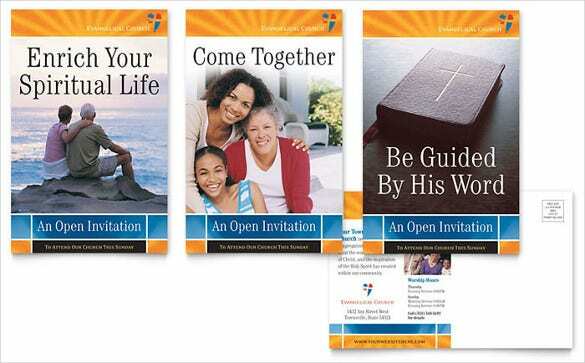 This can be both used as an invitation to candidates who are required or allowed to be present in the rituals as well as informational leaflets which are directed towards attracting dedicated devotees to the church so as to attend any important event. 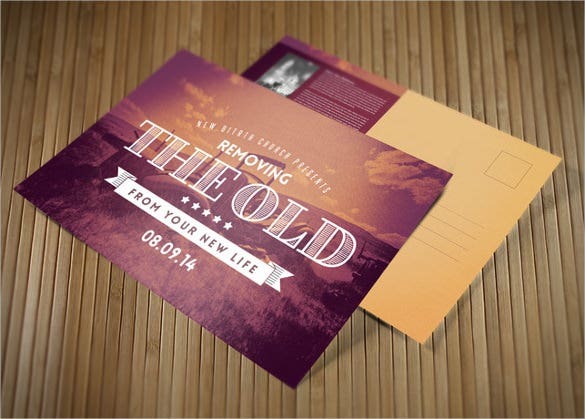 You can also see Old Postcard Templates. 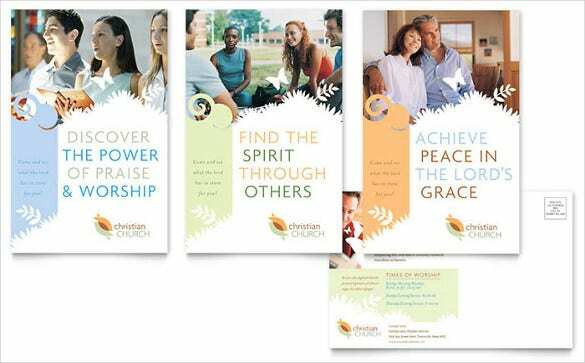 These postcard templates are designed using PDF or Power point with an image of the sacred cross along with the information on the event, the date & time and the main agenda. 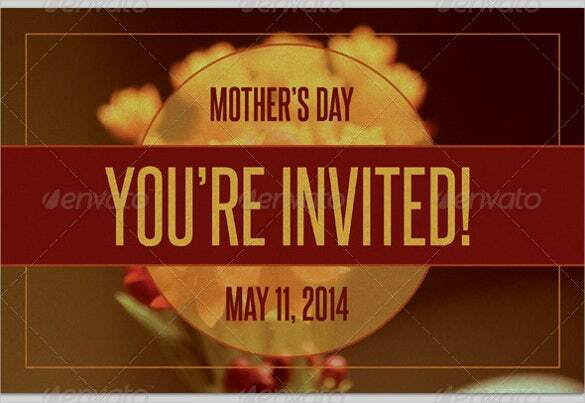 Mother’s day is a special day to honour every mother on earth. 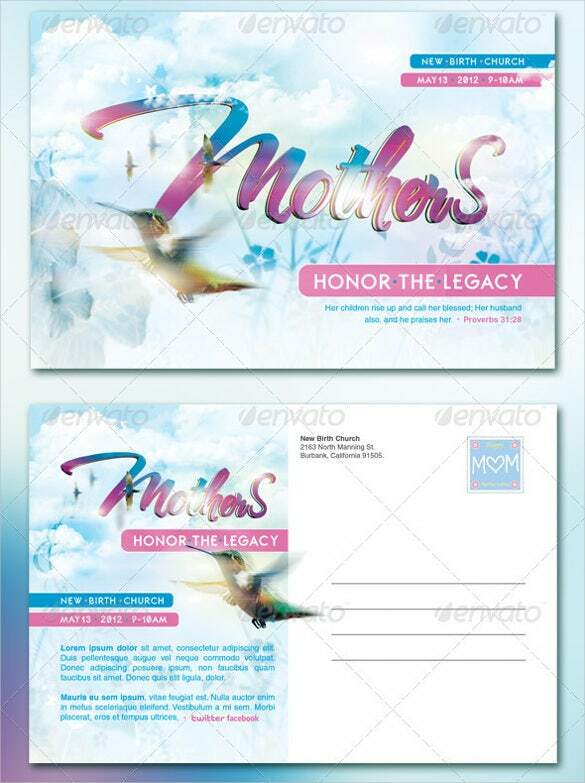 If your church is organising a special summon on mother’s day then the simple mothers legacy church postcard template will be the best. 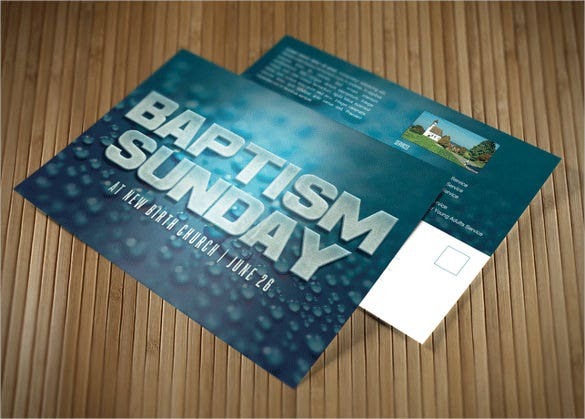 If the church is planning something special on mother’s day to celebrate it, then the mother’s day church postcard template will be the best option for the church to inform everyone. 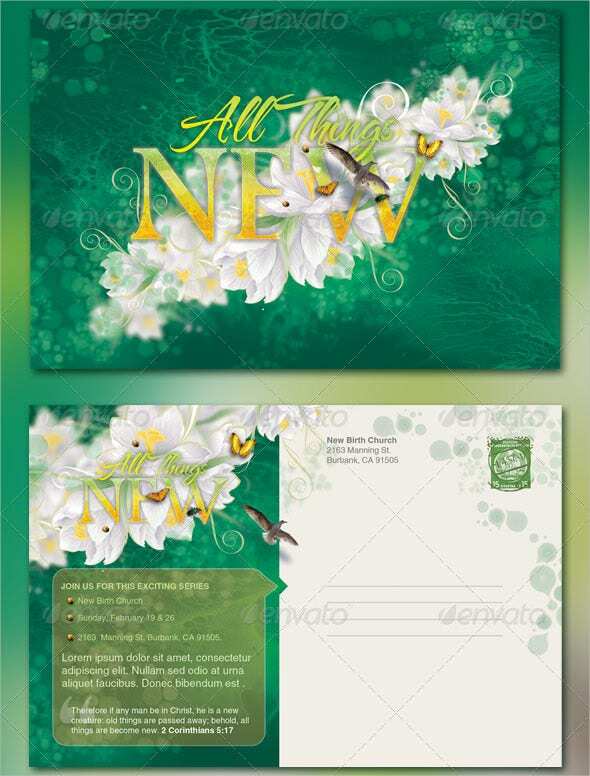 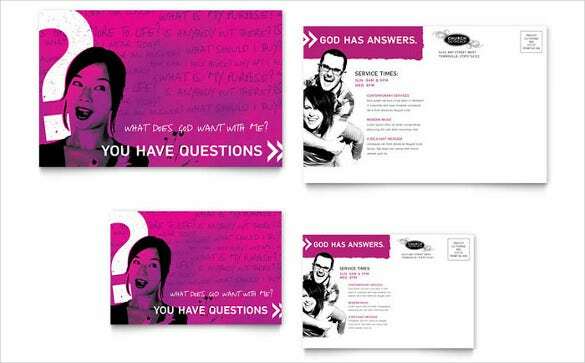 The creative all things new church postcard is a beautiful and colourful church postcard template that looks gorgeous and will be the best option to use that informs about the different events. 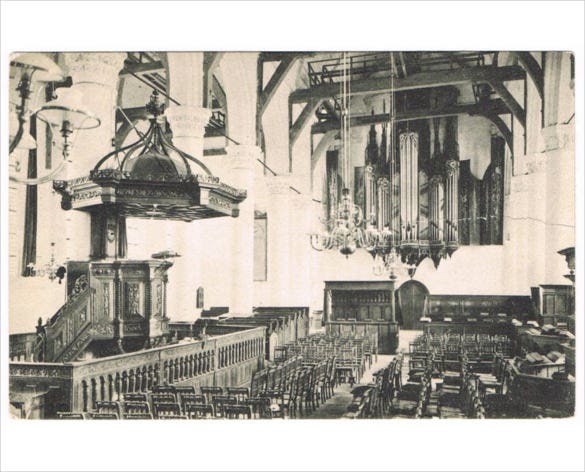 If you are looking for a church postcard template that will represent your church, then you can use the vintage church real photo postcard that will inform everyone about the church’s events. 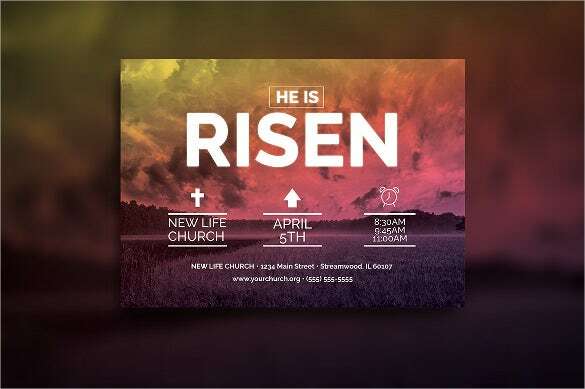 If you are looking for a church postcard template that can be used to inform about the events held for Easter at your church, then the Easter Sunday church template set will be perfect. 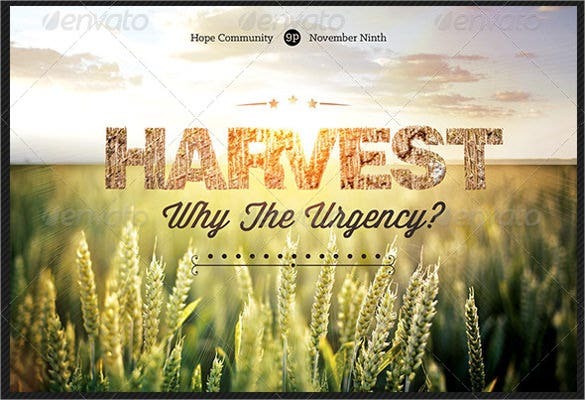 The harvest urgency church flyer and postcard template is a beautiful and gorgeous looking church postcard template that you can use to inform everyone about the event held before harvest season. 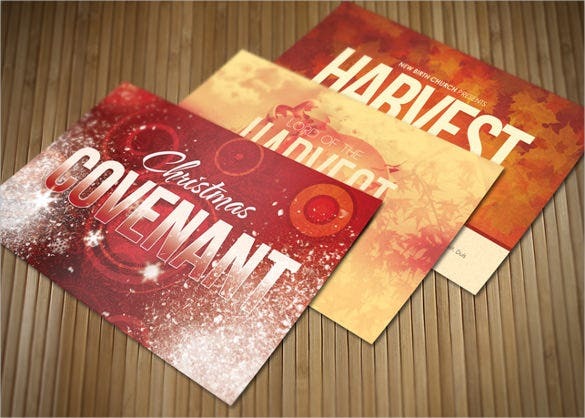 The church postcard bundle for holiday is a beautifully designed and visually stunning church postcard template that any church can use them to wish happy holiday to all the church goers. 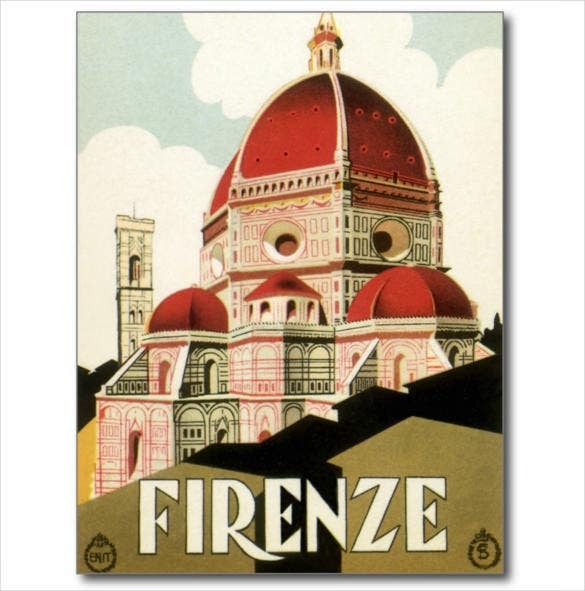 The vintage travel Florence Firenze Italy church Duomo postcard is a simple and normal looking church postcard template that uses the picture of the church which is situated at Florence. 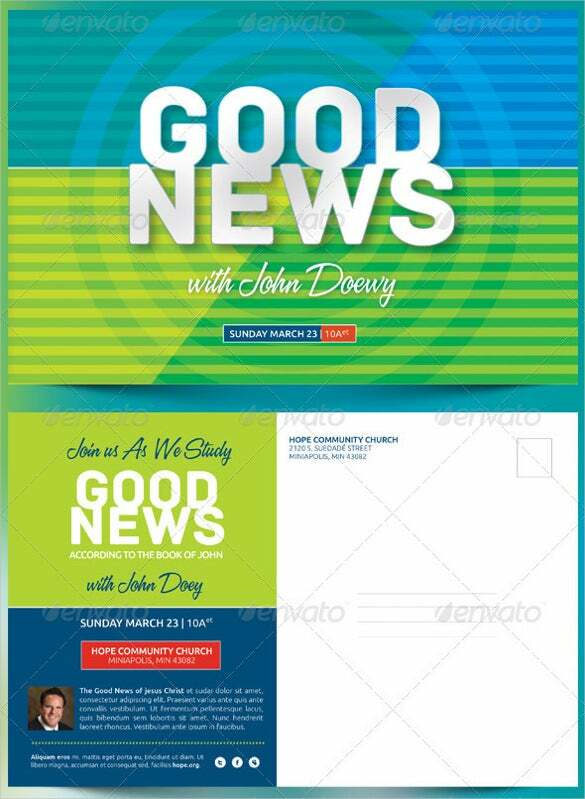 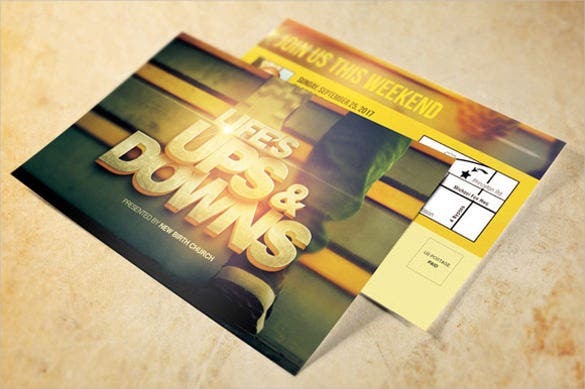 The good news church postcard in PSD is a simple and colourful church postcard template that can be used to inform everyone to be at the church to know the good news. 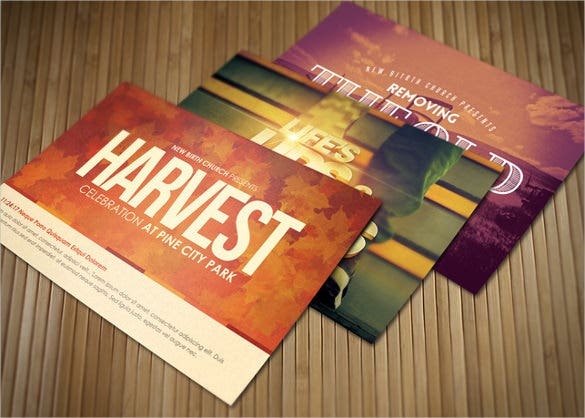 If your church is looking for a church postcard template that will be used to inform everyone about the celebrations, then you need to use the celebrate church postcard bundle. 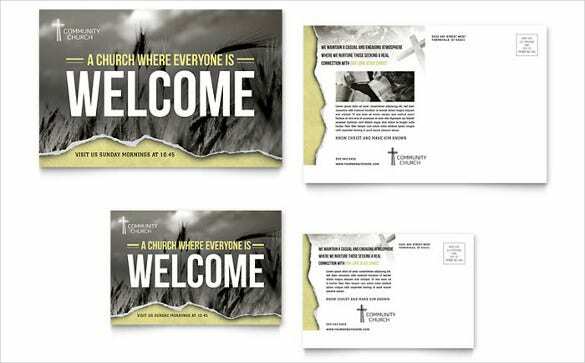 The bible church postcard template is a simple and useful bible themed church postcard template that will be the ultimate choice of all the churches, who are looking for a church postcard template. 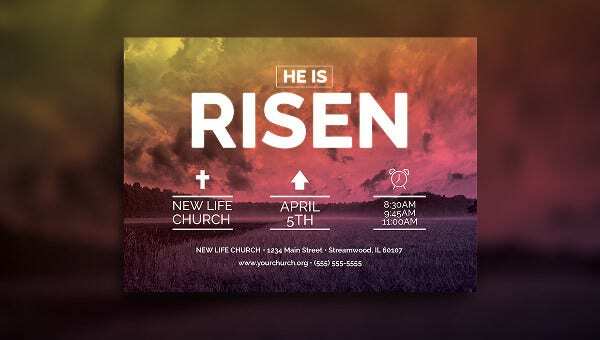 The red colour mother’s day church postcard is a simple and well designed church postcard template that can be used by the church to invite the people to celebrate mother’s day. 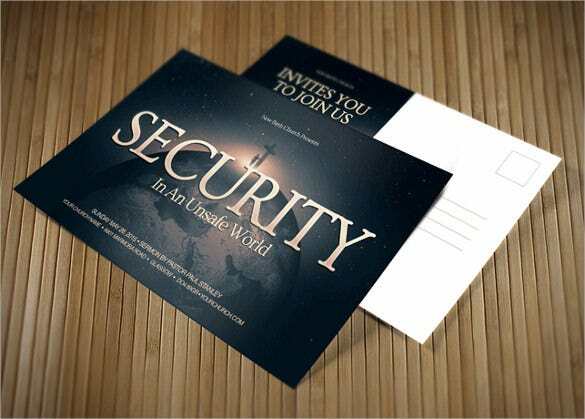 The security church postcard template is a beautiful and visually stunning sample church postcard template that looks simply gorgeous and will be the perfect postcard template for the church. 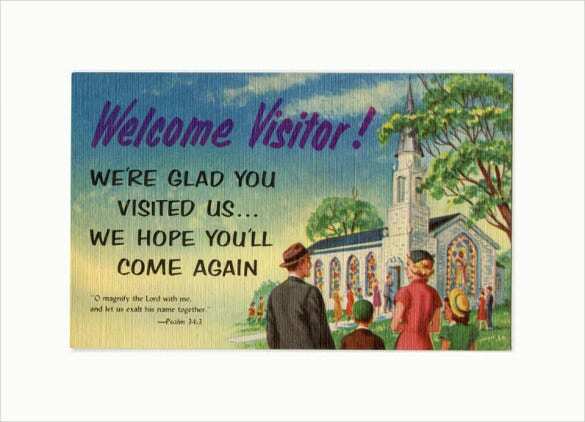 The welcome visitor church postcard is a simple and vintage looking sample church postcard template that uses a beautiful photo and a bible quote to create this wonderful church postcard template. 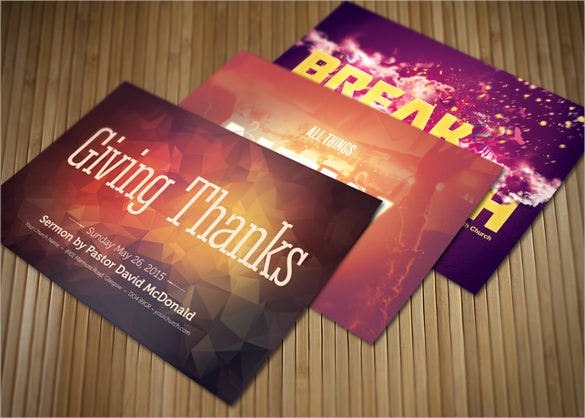 If you are looking for a sample church postcard template that looks visually stunning and will be the perfect template for your church, then you have to use the church postcard bundle for giving thanks.